Everything DiSC® Work of Leaders is classroom training that uses online pre-work, engaging facilitation with contemporary video, and online follow-up to create a personalized learning experience. Based on best practices, Work of Leaders connects to real-world demands, generating powerful conversations that provide a clear path for action. You will need a Wiley Electronic Profile Information Center account to administer this report. Using the framework of Vision, Alignment, and Execution, Work of Leaders encourages leaders to understand their own leadership behaviors and how they impact their effectiveness. Rich, compelling narrative adds depth to the data and strong visuals support the learning process by illustrating key messages. 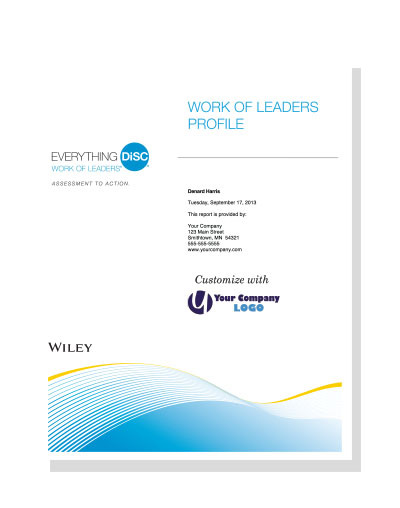 Everything DiSC® Workof Leaders is a registered trademark of Wiley.